Disclosure: BSM Media and Starz provided me with a digital download of the video and supplies to host a #PaddingtonMovie night. 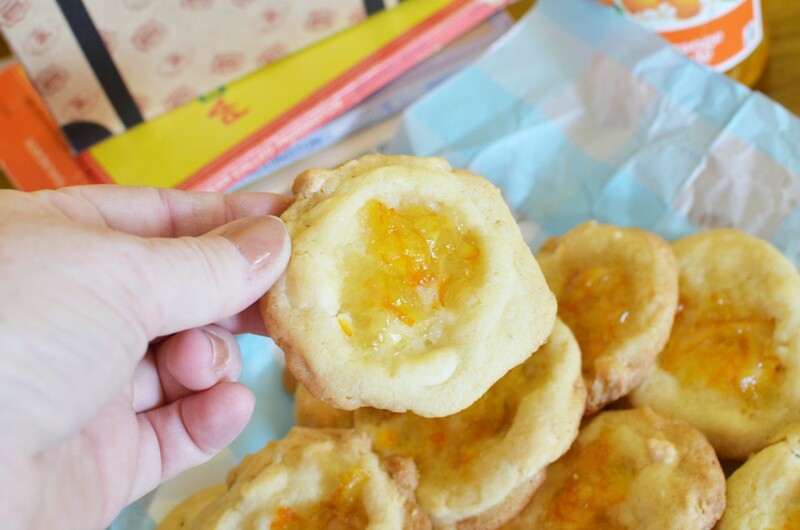 Do you remember the accident prone, marmalade loving, bear from the beloved book series by Michael Bond? Well, Paddington has traveled all the way from darkest Peru to the big screen. Right now you can own the movie as a digital download. 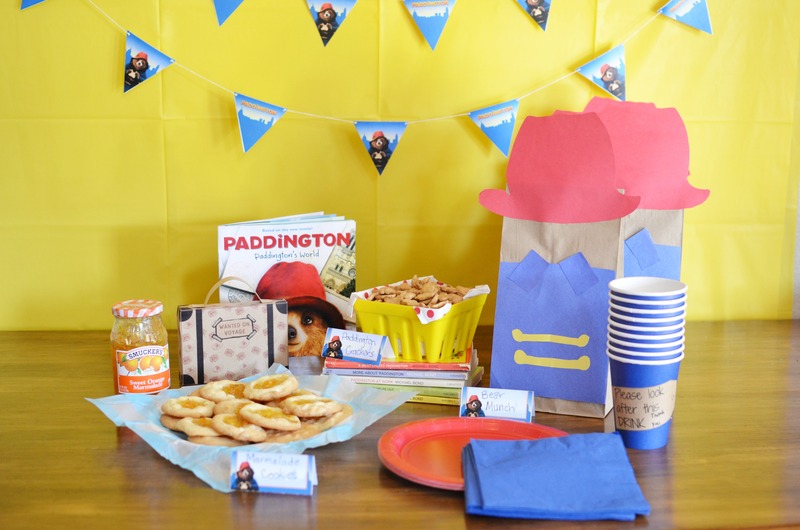 Paddington will be arriving in stores this Tuesday, April 28th! In honor of the home movie release we hosted our weekly family movie night in honor of a very special Peruvian bear. 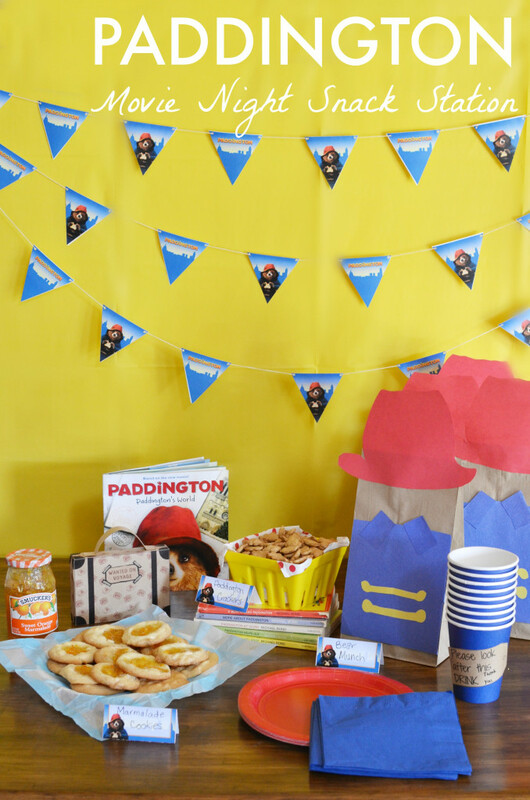 I drew inspiration from the Paddington Parties website and used several of the printables to pull together my snack station. A yellow table cloth and printable banner set the stage. The banner was printed on a semi-gloss heavy weight paper. I just cut each triangle with my paper cutter, hole punched the corners, and strung on a piece of bakers twine. You could easily use the print and cut feature on your favorite cutting machine to speed up the process. 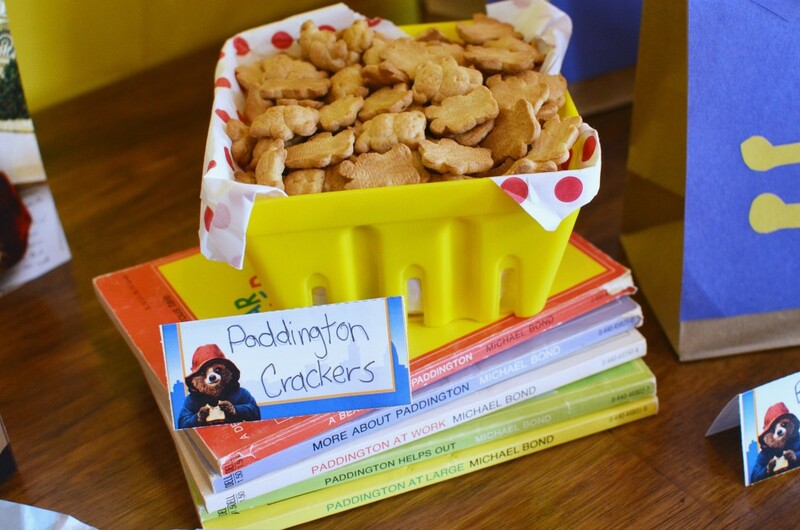 I pulled my Paddington chapter books out to add height to one of the snack bowls filled with Paddington crackers. This was the first time the boys have had Teddy Grahams, now officially Paddington crackers. 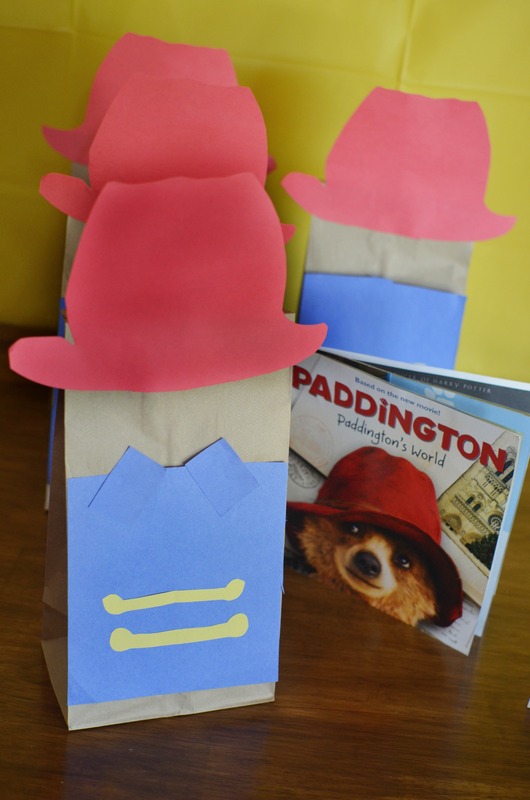 During the film we munched on Paddington bags filled with bear munch (popcorn). I used these snack bags for inspiration. 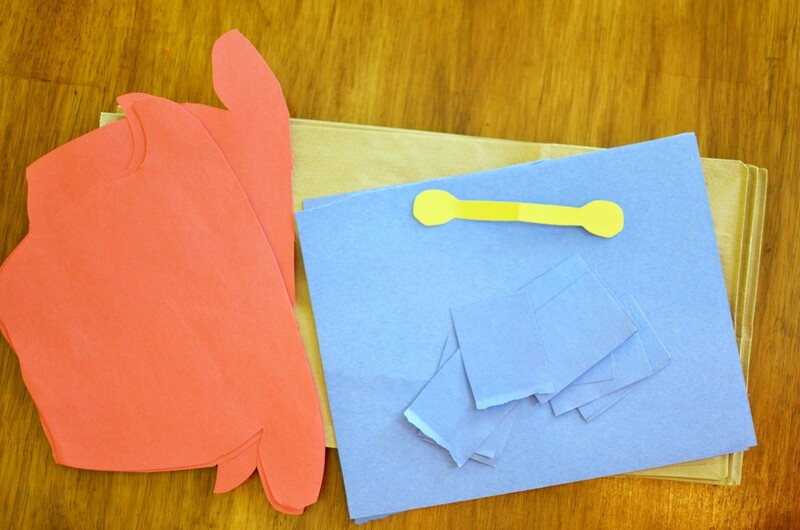 First, I cut the blue paper into a rectangle the same width of the bag. I free hand cut the toggle buttons from yellow constructions paper. I did the same for the hat from red paper. Each piece was attached with glue. Paddington’s coat was finished with two blue small rectangles for the collar. My favorite touch for the movie night snack station were the cups. 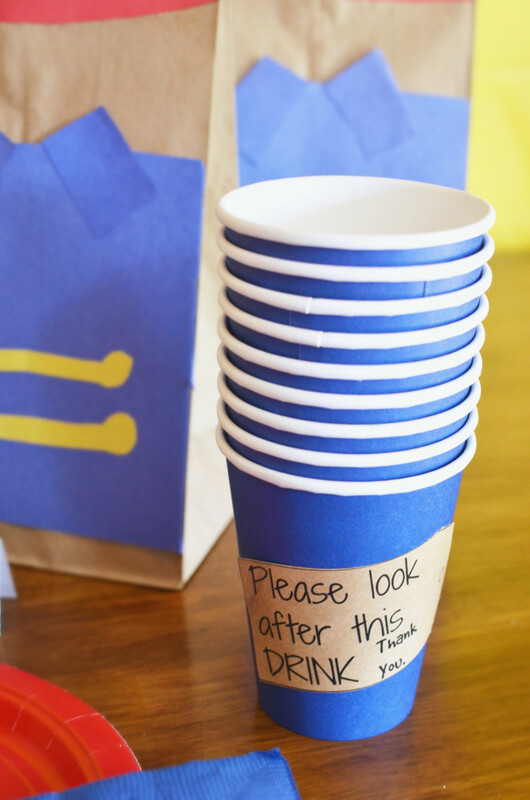 I created a fun printable for each cup that read, “Please look after this DRINK thank you”. And of course a Paddington party would not be complete without some orange marmalade. A few years ago I was introduced to this recipe at a friends bridal shower. 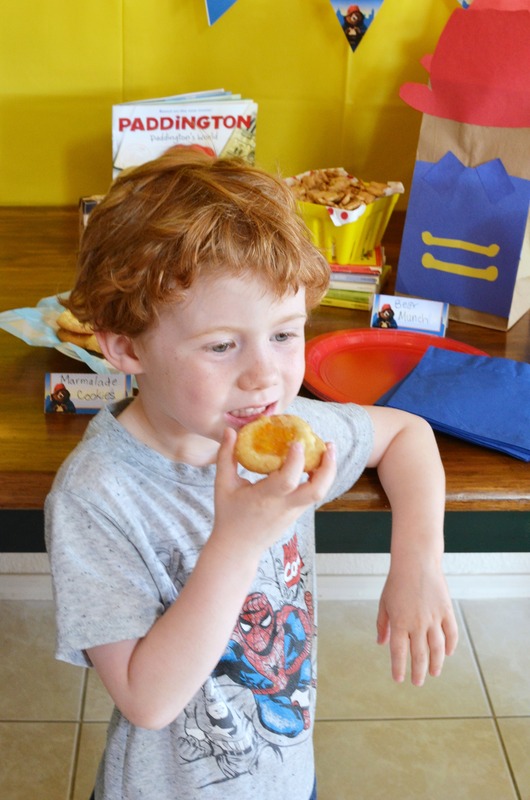 They are a family favorite and so easy to pull together. My boys couldn’t wait to see the movie or apparently eat the snacks. I caught this little bear sticky pawed. My husband and I were a little skeptical of a live action Paddington, but fell in love. The books are a favorite bedtime read aloud and Producer, David Heyman, did a fantastic job bringing them to life. 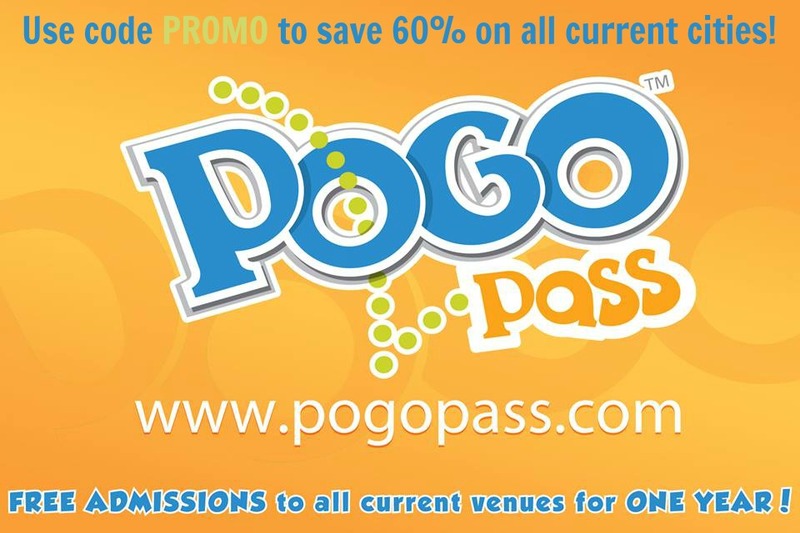 Connect with Paddington on Twitter, Facebook, YouTube, and Pinterest.